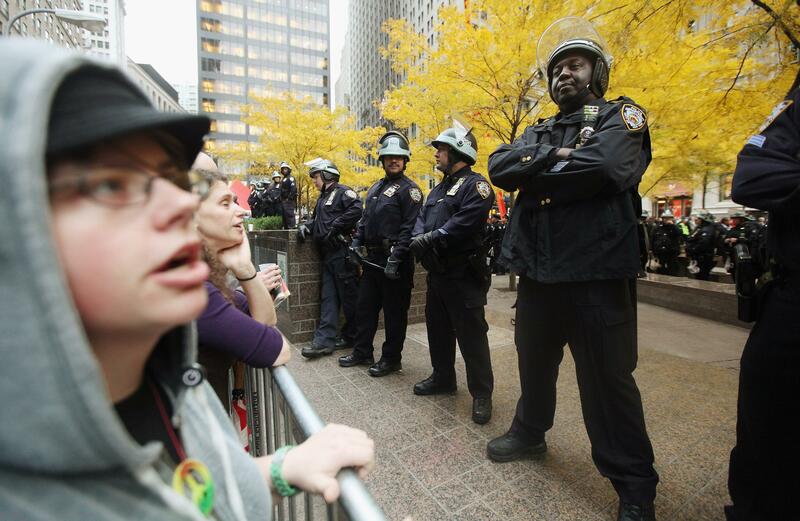 One of today’s must-reads: This Josh Harkinson piece, written after he spent as long as possible at Occupy Wall Street, defying police orders to skedaddle. Not to spoil it, but he’s pulled away after watching police tear up the encampment. In the process, he hears an unfamiliar term. So, what’s a “frozen zone”? It’s an area secured by police typically because they’re guarding it from possible terror threats. Zuccotti Park is very close to Ground Zero, which is being built up, finally, and the last time there was a “frozen zone” there it was when the cops were girding for the 10th anniversary of 9/11. Correct me if I’m wrong, but I haven’t seen a “frozen zone” applied to a situation like this – an evacuation of protesters, none of whom (in New York) had been violent.